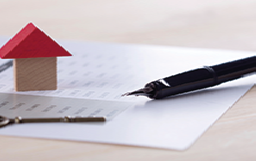 It is common practice for agents to sign the S21 notice on behalf of the landlord. However there have recently been at least three County Court cases that have highlighted a problem with this and the notices were disallowed by the courts. There is nothing in landlord and tenant legislation dealing with this and as it has only occurred in County Courts so far it is not binding on other County Court judges. However it would be wise to take this seriously as Shelter and the Citizens Advice Bureau will almost certainly be aware of this. The cases dealt with the issue of authorised signatures under S44 of the Companies Act 2006 which notes the requirement of a company when signing on behalf of another party. (Please note therefore that this will only relate to agencies that are limited companies). The legislation states that documents can only be endorsed by authorised signatories who would be: EITHER two directors OR a director and a company secretary OR a director and a witness. Best practice recommendation is that this can be covered by the landlord giving authorisation to the agency to sign statutory notices on their behalf, which then means it can be signed by agency staff who would then have to print their name on the form alongside their signature. We have queried with solicitors that one signature is sufficient and have been advised that providing the landlord has given authorisation to the agency a staff member can sign the document. Please feel free to take this up with your own solicitors. Your terms of business need to be amended to reflect the authorisation of the landlord for the agency to sign statutory notices (which would include Form 6A for S21). Obviously this will not cover current tenancies where the terms are already signed – so a process needs to be put in place to have the landlord give written authority (email would be sufficient) to the agency to sign and serve the notice. You may perhaps find it useful to add this to any checklist or procedure document that you use.